It's the darkest chapter in the original trilogy of the most famous sci-fi franchise and it has one of the biggest surprising reveals in movie history. The Empire Strikes Back, long celebrated as the best chapter in the massive Star Wars saga, has many secrets swirling around that have yet been discovered by sone of the franchise's biggest fans. Here we take a look at 10 facts you never knew about what some claim is the greatest Star Wars adventure of them all. In the decades since Star Wars changed the world in 1977, a wealth of material about the saga's developmental stages has come out, with some bits of old concept art and words like "Starkiller," the original last name for Luke, even getting repurposed in later chapters and the extended universe. The Making of Star Wars: The Empire Strikes Back, by J.W. Rinzler, is a fantastic resource filled with a ton of surprising facts, such as the original name for Jedi Master Yoda. It was Buffy. Yes, Buffy. In early outlines drafted by George Lucas, Bunden Debannen aka Buffy was three to four thousand years old. 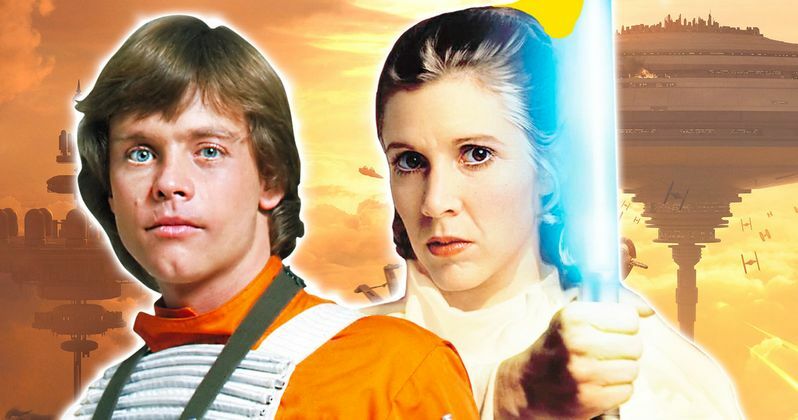 Luke, the Chosen One, would be "the human buffy." Later, Lucas envisioned him as a frog type creature, with the full name Minch Yoda. The Emperor wasn't always played by a man. Before the great Ian McDiarmid was retroactively inserted into later editions of The Empire Strikes Back, to tighten up continuity with Return of the Jedi and the Star Wars prequels, actor Clive Revill voiced the mysterious and decrepit leader of the Galactic Empire. But it was a woman named Elaine Baker underneath the makeup. She was then the wife of Academy Award winning makeup artist Rick Baker, who in addition to his work on Star Wars, worked on An American Werewolf in London, Coming to America, the Men in Black series, and Michael Jackson's Thriller. Baker not only made the suit for the 1976 King Kong movie, he's the guy inside of it! Speaking of primates, Elaine Baker's eyes in Empire were the eyes of a chimpanzee. Darth Vader wasn't always a Skywalker. In the first draft by the late Leigh Brackett, aka the Queen of Space Opera, Anakin Skywalker, Ben Kenobi, and Minch Yoda swear Luke into the Jedi Order, in a little ceremony that involves an oath and the crossing of their lightsabers. Anakin also tells Luke about his sister, who was also training to become a Jedi, just like Luke. Leia wasn't always a Skywalker either. That sister in the early drafts was not Princess Leia Organa of Alderaan. In the second draft of The Empire Strikes Back, Vader tells Luke, "You're in love with Leia. You don't want to lose her to Han Solo... But you will, if you lack the courage to use the strength that's in you. A strength as great as mine, Luke." This second draft and its accompanying dialog, which of course reads much differently with the addition of the now familiar familial twists, was written by George Lucas himself. George Lucas always had a Harrison Ford back-up plan.